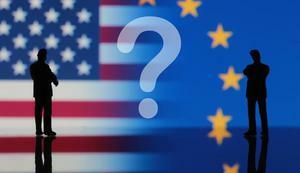 There is a lot of speculation around the impact that a proposed Transatlantic Trade and Investment Partnership (TTIP) between the EU and the USA will actually have, so let’s look at the facts about what exactly the purported business benefits and negatives of such a trade deal might be. The deal is intended to create new business and trade opportunities for businesses and governments on both sides of the Atlantic. This is due to the fact that exports will be easier as red tape and restrictions to trading will be lifted, allegedly without the compromise of standards of safety. TTIP will present the opportunity for common trade regulations to be set up, which will remove certain existing boundaries for businesses, meaning there will be more opportunity for business growth. SMEs would have even more options for trade, with this; coupling a trade partnership with a business loan could catapult businesses into success. The promotion of the free-market is another benefit for businesses. It will also be of benefit to the consumer. The range of products available to consumers either side of the Atlantic will increase, while the price of trading these goods will decrease, making prices lower. There are problems with the TTIP proposal on the other side of the coin to the benefits previously discussed. Politically, the TTIP is contentious and unpopular as these new trade freedoms may infringe upon sovereignty, as well as it being unpopular amongst the UK population. The common trading standards that are proposed are likely to be lower than the ones already in place – in particular this could present an issue for Europe. While this opens up freedoms to businesses, it could mean certain regulations could expose issues. There have been many voices raising concern about the lack of clarity about the actual implications of the trade agreement. The deal has been criticised for being conducted too privately by government officials, spreading doubt among business leaders. There are arguments that more bureaucratic red tape could be put in place due to uncertainty and the need for businesses to be even more cautious to avoid legal issues. In terms of businesses selling special regional products like iconic foodstuffs only produced authentically in certain areas, the possibility would arise for inauthentic cheap foreign copies on the market, diluting quality as well as cultural heritage. You can see why this is a contentious issue. Though TTIP would, in theory, break down boundaries that hold international businesses back from achieving their potential, the consequences of lowered standards, increased levels of bureaucracy and infringement on sovereignty, make this trade deal a difficult possibility to agree on for businesses. We simply do not know enough of how it would affect us, and if the benefits are worth the risks.